Full Circle Campaign Attribution is a marketing analytics solution designed to provide data-driven marketers with the information to make marketing spend decisions by measuring their campaigns’ performance and impact on revenue — all inside Salesforce. The Full Circle Campaign Attribution solution is designed to provide both out-of-the-box attribution models commonly expected by today’s marketers as well as models with custom frameworks. With Full Circle Campaign Attribution, a customer is able to implement simple single-touch models, multi-touch models or advanced models with custom weightings and custom variables. The solution also enables marketers to test and align their campaign attribution models on-the-fly, with side-by-side attribution cross-compare and a detailed drill-down capability called Deal Explorer. This product is designed for CMOs and other marketing organization leaders, including those practitioners in marketing operations, campaign management and demand management. Sales operations and revenue operations are secondary targets. Full Circle Campaign Attribution is 100% native to Salesforce and integrates with all the leading marketing automation tools. 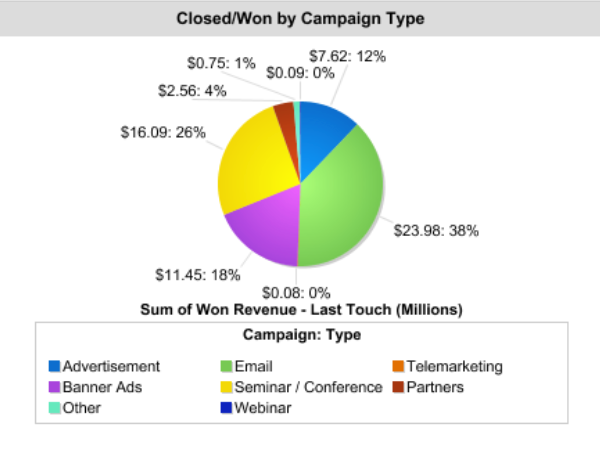 Full Circle Campaign Attribution is a Salesforce app that is priced by database size, starting at $333 a month. This version of Full Circle Campaign Attribution is a new stand-alone product. Full Circle Campaign Attribution’s set of tools provide flexibility and customizability inside of Salesforce. Full Circle Campaign Attribution enables marketers to access and use the most up-to-date Salesforce campaign data, which ensures a level of accuracy and marketing-to-sales data conformity that is unparalleled by any non-native Salesforce solution. Additionally, Full Circle Campaign Attribution aligns with pre-existing business processes and security requirements of an organization, since the data and insights remain inside the already vetted Salesforce platform.